Email notifications can be configured for both approvers and regular users for certain time reporting events. The approver can be notified when there is a reported time entry that needs approving. Users are notified when their time entries have been approved, rejected or modified. Notifications can also be sent to users that are missing reporting time entries. Step 1: Select the user(s) that will receive the notification email. If you want to select specific users, enter search criteria and then click on the Search button. Step 2: Select a notification template. Step 3: Click on the Notify button. Step 4: Click on the OK on the confirmation pop-up. Menu path: TimeSheet Management > Notifications > Send Notification > Approver. If you want to select specific users, enter search criteria and click on Search. Menu path: TimeSheet Management > Notifications > Template Builder. 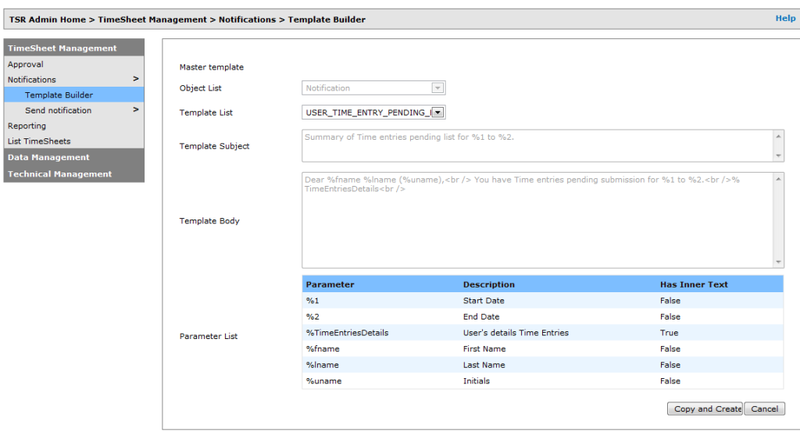 There are already predefined templates in the template builder. You can create new template based on these templates. Step 1: Click on the “Copy & Create” button. 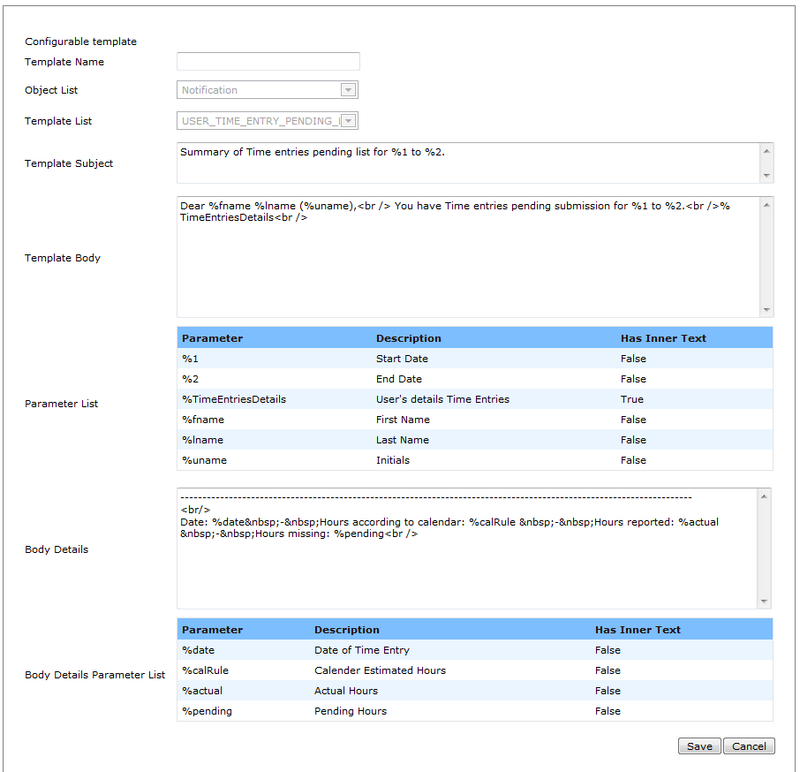 There are four predefined parameters (%1, %2, %3, %4) which you can insert into the Template Subject and Template Body. Step 3: Click on the “Save” button. Step 4: Click on the OK button on the confirmation pop-up.